Hey! Hey! Hey! What's up to all you Dream Street fans out there?!? 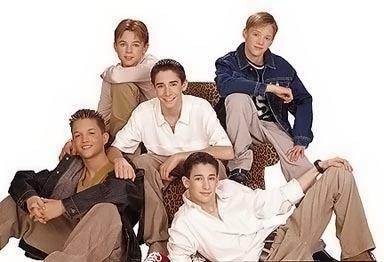 Welcome to my tight new website about the five hotties of the new hit boy band, Dream Street! If you're wondering who Dream Street is, or you want to find out more about them, you've come to the right place. Here, we've got bios, lyrics (workin on it), tons of pics (workin on it), fan fictions, a cute clique, and tons more (i'm workin on it! i'm workin on it!). Check out my webpage! If you're new to the whole "Dream Street" thing, stick around, cuz before you leave, you'll be crushing over these five cuties! Well, don't just sit around, get to it! Don't just hang around! I may not have TOO much stuff on my site, but I have enough to keep you entertained for a while. Don't forget to check out my clique, too! Oh, and before you leave, please, please, please, please, *gets on knees and begs* PUH-LEASE sign my guest book and vote for my site!!! Thanks a whole bunch!!! What Do You Know Bout the Guyz of DS?